Press the Smart Parking Assist System button (the button indicator will illuminate). The Parking Assist System will be activated (the button indicator will illuminate). A warning sound will be heard if an obstacle is detected. Press the Smart Parking Assist System button again for more than 2 seconds to turn off the system. 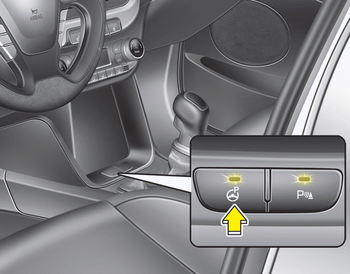 The Smart Parking Assist System defaults to the OFF position whenever the ignition switch is turned on.